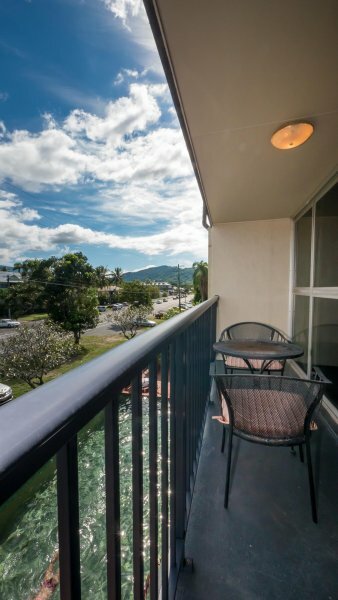 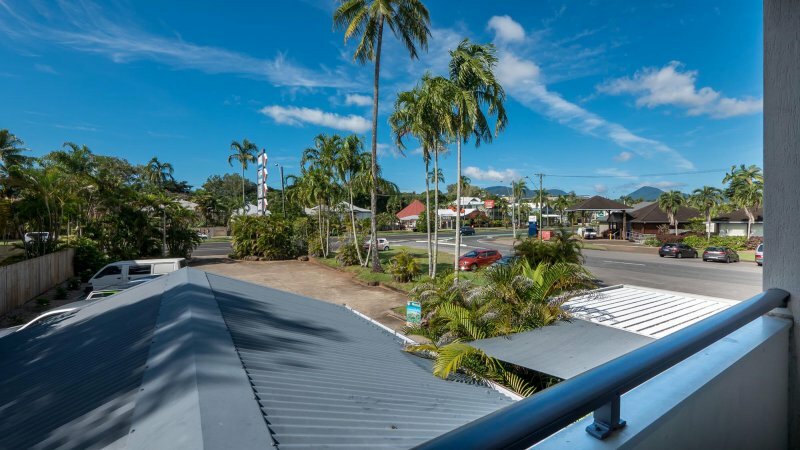 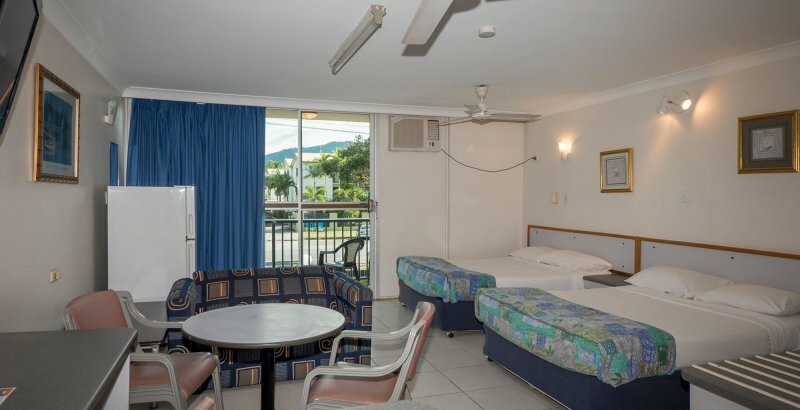 Situated just a 20 minute walk from the centre of Cairns, our large, great value holiday accommodation Cairns is a great base for your next trip to Tropical Far North Queensland. 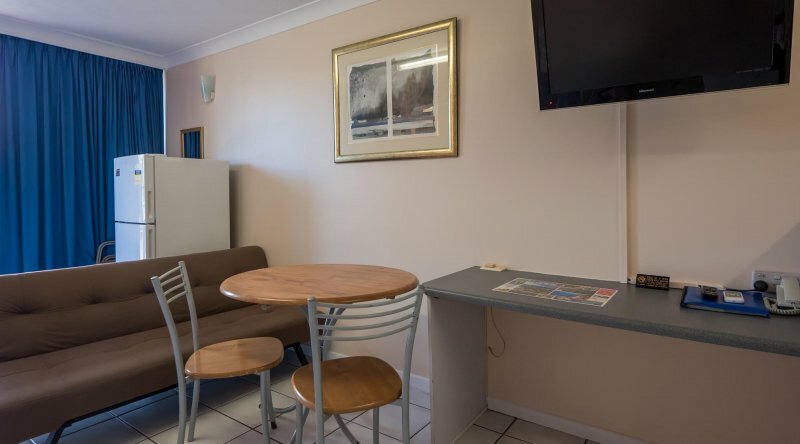 A spacious studio apartment with kitchenette featuring microwave and a slimline fridge/freezer, two burner hot plate, (some have an oven), electric frying pan, toaster, electric kettle, crockery, cutlery and pots, pans & cooking utensils, free WiFi access, an ensuite bathroom, a 32 inch flatscreen TV, ceiling fans with airconditioning and a private balcony. Apartments feature two double beds and are suitable for a maximum of 5 guests. 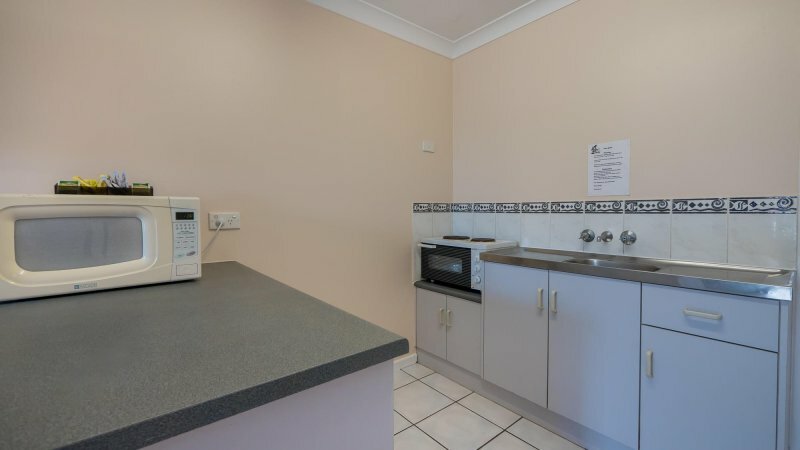 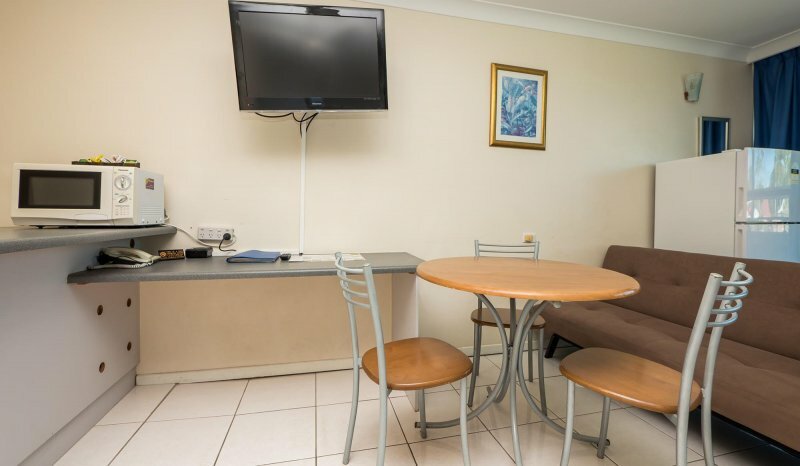 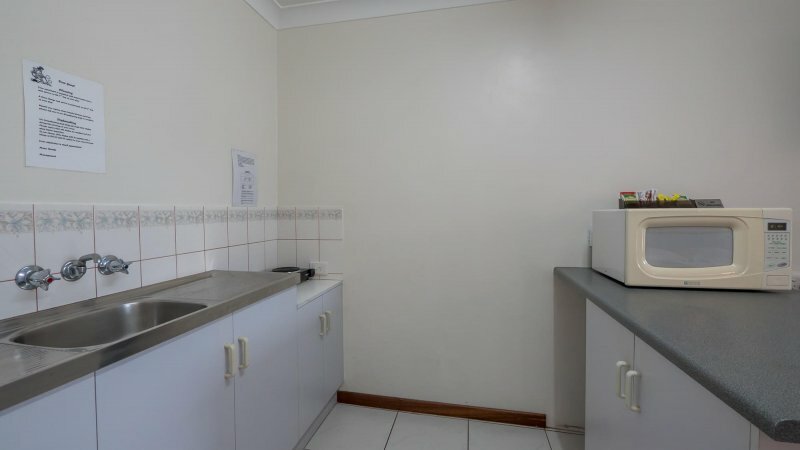 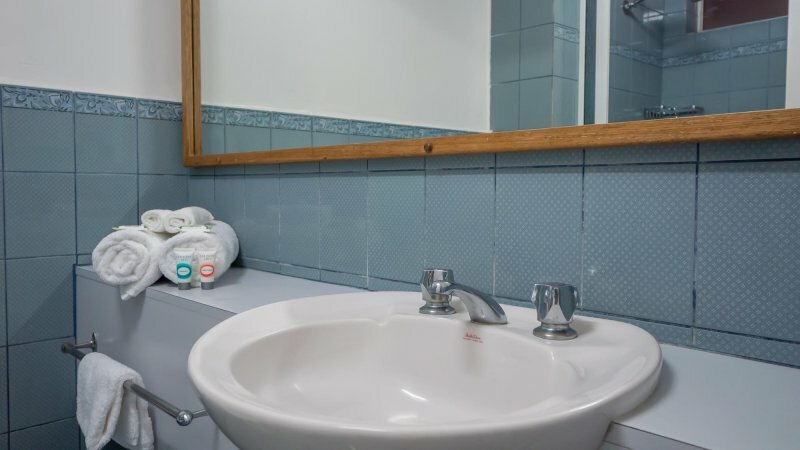 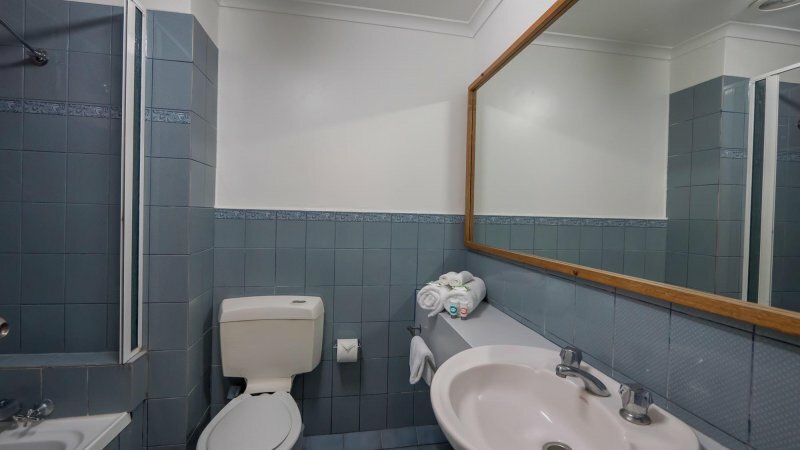 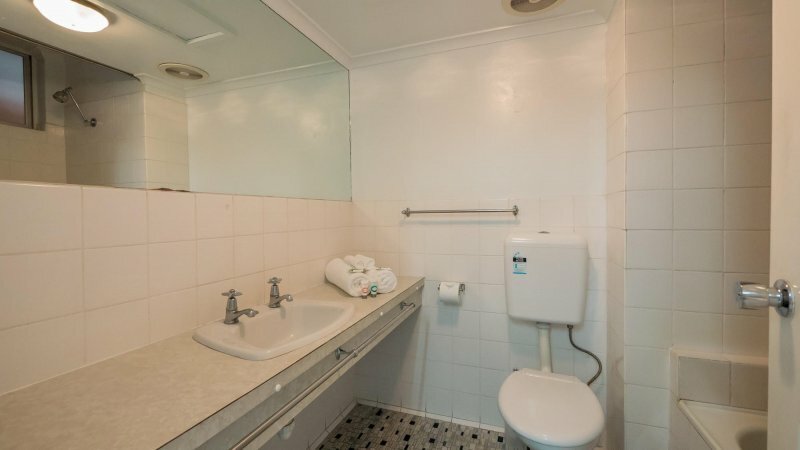 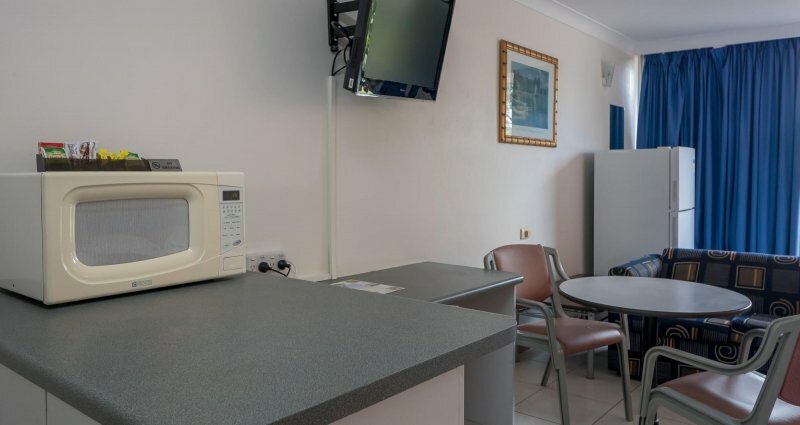 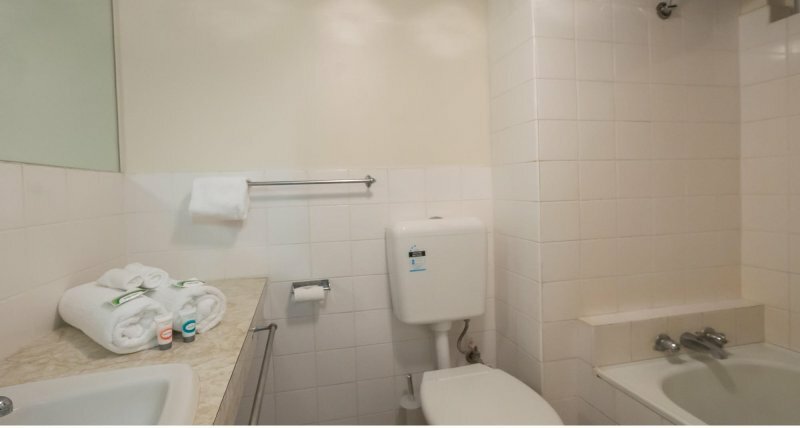 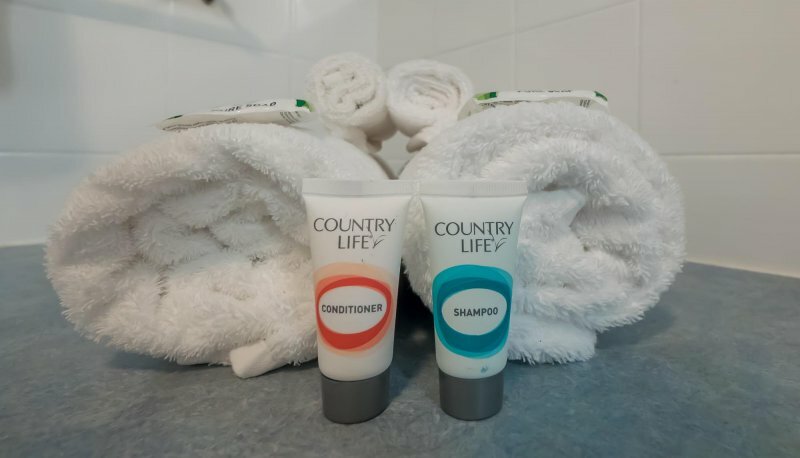 A very spacious motel-style room with microwave, tea and coffee making facilities, a slimline fridge/frezzer, ensuite bathroom, free WiFi access, desk, a 32 inch flatscreen TV, ceiling fans with airconditioning and a private balcony. Rooms feature two double beds and are suitable for a maximum of 5 guests. 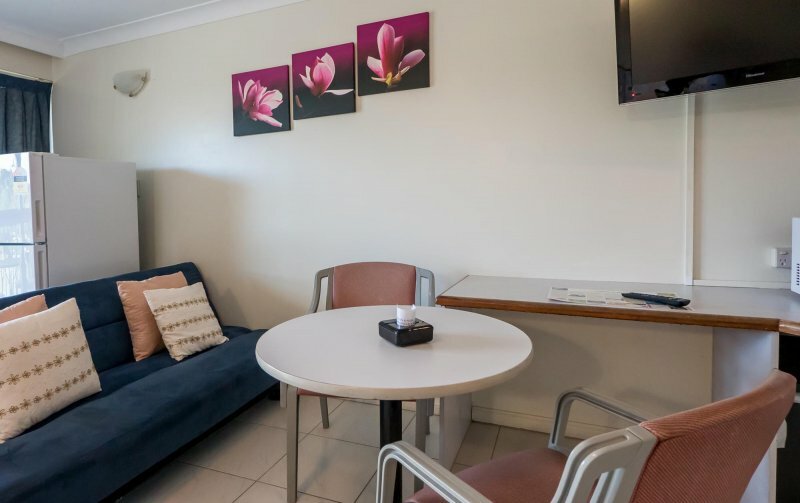 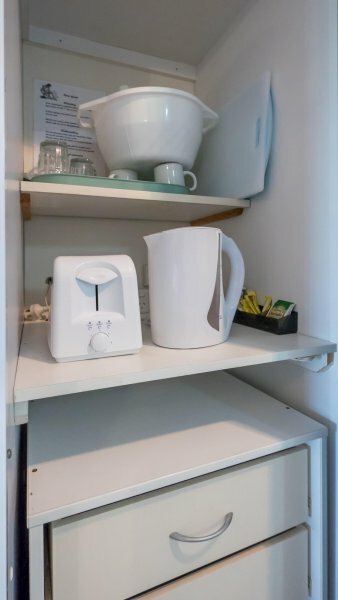 A studio apartment with kitchenette featuring microwave, hotplates and a slimline fridge/freezer, free WiFi access, an accessible ensuite bathroom with handrails, a 32 inch flatscreen TV, ceiling fans with a and a private balcony. 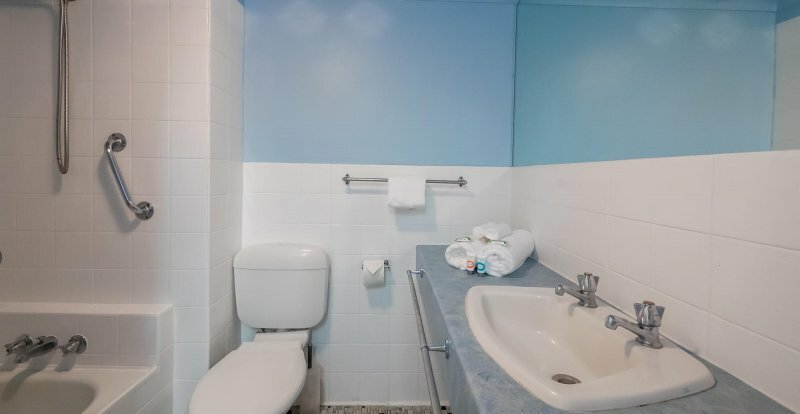 Our Handicap friendly room also features a shower alcove. 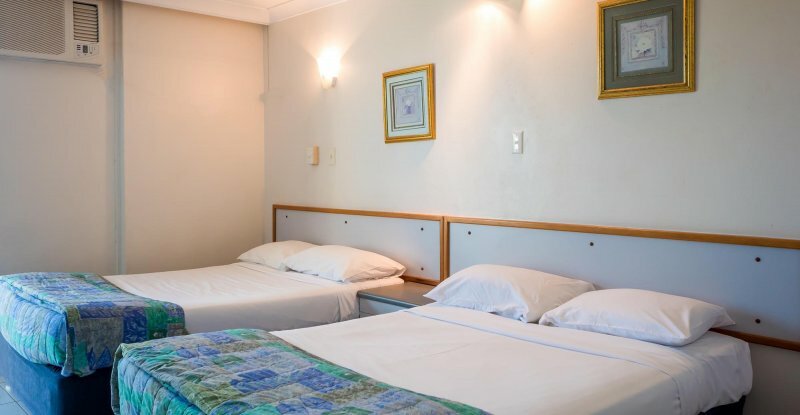 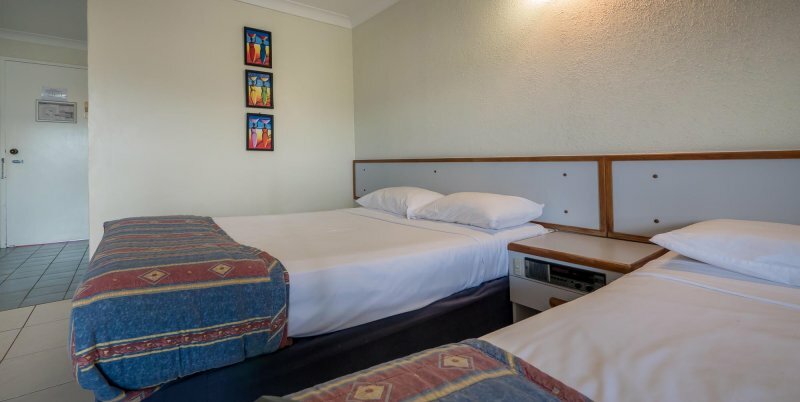 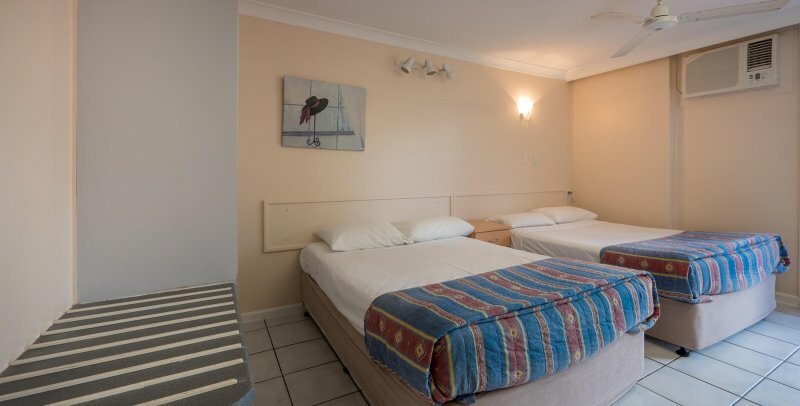 These rooms at Cairns Holiday Lodge feature two double beds and are suitable for a maximum of 5 guests.